There is only one way to make authentic Masalas... The way it's done at MTR!!! 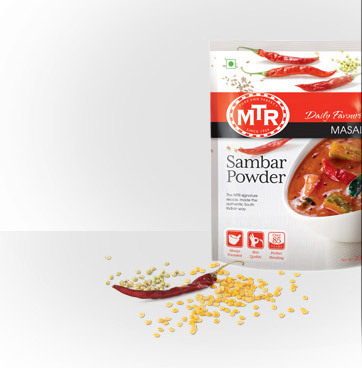 Masalas form an integral part of everyday cooking and we at MTR understand this. Therefore we take great care in making them. We follow the authentic process of making Masalas. The purest ingredients are 'Pounded to perfection' to give you the right blend of Masalas thereby helping you make authentic tasting dishes for your family. Our Masalas are favourite among the consumers which also makes us the leading player in some key States of South.